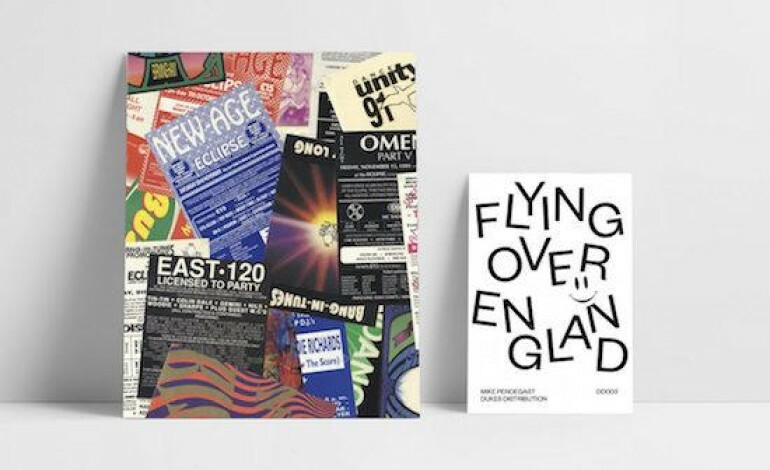 A crowdfunding campaign by author Mike Pendegast has been launched to raise funds for a new set of books about the history of rave flyers in the 80s and 90s. As factmag reports: the book, which is to be titled “Flying Over England” will be documenting the visual promotion used by the rave scene during the acid house era. The book will feature Pendegast’s own personal collection of flyers from his days in the rave scene, along with his personal written anecdotes from his time during the era. Th initial run for it will be limited to 500 copies and will be published through Dukes Editions. More information can be found at the crowdfunding page where you can also support the campaign. The late 80s and early 90s was the when the UK rave scene found recognition. By 1991, there were notable organizations such as Fantazia and Raindance holding massive legal raves across the country, both indoors in warehouses and outdoors in fields. The era was dubbed “The Second Summer of Love” which referred to both of the years 1988 and 1989. This was when electronic dance, coupled with the drug MDMA led to a phenomenon within youth culture with the advent of the raves and free parties being held. The reason it was called this was because of parallels that were seen with the Summer of Love of the 1960’s, firstly because of the music using psychedelic beats reminiscent of that era and because of the hedonism involved being seen as so. It also brought some of the fashions back such as the tie-dye. Particular places associated with the movement included the Hacienda, the legendary Manchester venue that was also synonymous with the Madchester scene which was happening at the same with bands such as the Happy Mondays and the Stone Roses. The iconic Smiley Face logo is seen as a symbol of the era. However, by 1992 the scene saw some major changes, when many local councils starting passing by-laws and increasing fees in an attempt to stop these organisations from acquiring the necessary legal fees needed to hold these events. Unfortunately for the scene, this signalled the end of the era, as large outdoor rave events soon became outlawed. The music itself also saw a shift in style in the early 90’s, which made events more costly and more difficult to promote. This soon led to the era of illegal raves, also known as the “Free Party” scene, which also reached its climax after a big festival was held, where several individual systems were set up near Castlemorton Common. The Government took legal action. Under The Criminal Justice And Public Order Act 1994 the definition of rave music was defined as: “Music” includes sounds wholly or predominantly characterised by the emission of a succession of repetitive beats.” The reason for the Acts introductions was because of alleged disruption that raves were causing with nearby residents, in an order to protect the countryside.